Governor Doug Ducey’s blue ribbon panel, the Classrooms First Initiative Council, spent 18 months working on an education plan and THIS is what they produced: bupkis? 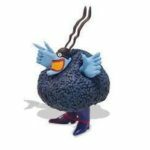 I hope that no one got paid for this. This is just another bait and switch scam, like Governor Ducey’s Prop. 123. A council empaneled by Gov. Doug Ducey to reform Arizona’s school funding formula released a set of ambitious recommendations. But exactly how they are to be achieved, how they will be funded and what steps the governor will take in the upcoming legislative session remain to be seen. 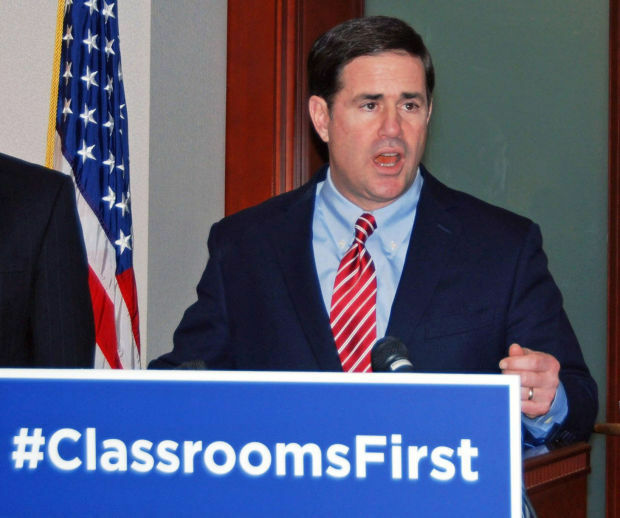 In his 2015 executive order creating the Classrooms First Initiative Council, Ducey asked for its recommendations, but not for a plan to implement them. The council unveiled 12 recommendations in a report at a meeting on Wednesday. The recommendations were the result of nearly 18 months of meetings and work with stakeholders. The recommendations included the simplification of Arizona’s K-12 funding formulas, the creation of standardized and consolidated tax rates among school districts, reducing districts’ reliance on funding methods such as bonds and overrides, giving the Arizona Department of Education and State Board of Education more latitude to use the rulemaking process to implement school finance statutes, additional funding for schools in low-income areas, and higher pay for teachers. Ducey emphasized to the council that implementing the recommendations would be a long-term project, but that he aims to make progress on it every year and hopes to lay out a road map that future governors can follow as well. Ducey told reporters after the meeting that he would have “an exciting education agenda” in 2017 that would include some of the council’s recommendations. Other proposals will have to wait until future sessions. “We want to tackle the entire plan over the course of our term. But we want to do what’s politically possible in this next session,” the governor said. A special task force is recommending higher teacher pay, more money for schools with a high number of students in poverty and a more “predictable and equitable” funding system among schools. “We’re going to have an exciting education agenda this year,” the governor said. “And you’re going to hear about it in the State of the State” address. Some lawmakers, however, are not waiting to see how much Ducey is offering in additional cash for a statewide school system consistently in the bottom 10 percent nationally in per-pupil funding. Rep. Heather Carter, R-Cave Creek, told Capitol Media Services Wednesday she is working on a “grand plan” to infuse major new dollars into not just K-12 education but also what she believes is an underfunded university and community college system. More to the point, Carter said Arizona education needs more than anything Ducey could propose within the confines of the state’s existing revenue stream. “I think it’s time for us to have big, bold conversations about what the next steps are for education in Arizona,” she said. Carter acknowledged that generating the kind of money she and other legislators believe is necessary will require major new tax revenues. A one-cent increase in the state’s 5.6 percent sales tax rate would generate about $1 billion a year. The idea of a big tax hike could run into opposition from Ducey, who won election in 2014 on a promise of proposing tax cuts every year he is in office. But his feelings may be irrelevant. With approval of her colleagues, that could put the issue on the ballot in 2018 — if not earlier at a special election. Carter said some details are being worked out. But she stressed that a key component will be new dollars for teacher pay — a key issue the council said needs attention but had no recommendations on how to get the dollars. And there’s something else: Carter also wants to ask voters to continue a six-tenths of a cent sales tax hike they approved in 2000 [Prop. 301] specifically earmarked for teacher salaries. That levy — and the $600 million a year it generates — self-destructs in 2021 unless renewed. Ducey, for his part, is in no particular hurry, saying there is plenty of time to deal with that issue. And the governor brushed aside reports putting Arizona near the bottom of what it spends on its students. “I think it’s important that we measure our success in results and outcomes that use available dollars to improve those for all of our kids,” he said. “I’m saying that there’s lies, damned lies and statistics,” Ducey responded, quoting an old Mark Twain line. While Ducey has yet to spell out how much he wants — or how to pay for it — the governor said he agrees with the goal. “When we’re looking at attracting more business to Arizona and providing the supports for the businesses who are already here to continue to grow and thrive, all roads lead to a highly qualified, educated workforce,” she said. “Their work over the last two years has set the foundation for what we need to do next,” she said. There is an old adage that if you want to put off dealing with an issue, form a committee to study it. This is exactly what Ducey did. We have a governor and state legislature that we elect to deal with these tough policy issues —it’s their job, and they have fundamentally failed to do it. They rely on the GOP’s weapon of mass destruction, Prop. 108 (1992), the “Two-Thirds For Taxes” Amendment, Arizona Constitution Article 9, Section 22, to justify their inaction on properly funding public education. To begin to fix this problem, repeal Prop. 108. Where does Arizona education rank? The only quality source for that measure is the National Assessment of Educational Progress. They spend $140 million a year, pull a huge sample of 4th and 8th graders in each state. The latest results are 2015. Whites rank 15th in math and 32nd in reading. Arizona’s combined math and reading gains from 2011 4th grade to 2015 8th grade were number one in the nation. Nationwide in 2014 (the last year Gallup did the PDK poll), 24% of parents rated their child’s school an “A”. By comparison, school districts such as Vail, Chandler and Mesa have annual, rigorous measures which show their parents ranking 67%, 75% and 64% A ratings – more than double the national average. If you cite WalletHub, you are citing fake news. Please stop saying “our African Americans”. Please, I’m begging you. They are not “ours”, not since Lincoln. The reality on the ground, whether he likes “statistics” or not, is that Arizona schools districts on recruiting trips around the country cannot compete. With a limited number of teacher candidates, when an Arizona district sets up, in a job fair, next to other states and the pay is $5,000, or $10,000 to start below other states starting salaries, reality is what happens. One district told me they set up next to Texas districts and they were offering over $10,000 more. The Arizona district got almost no one to stop in their booth.